Bijou - A gem of a little salon in Skaneateles: Happy Thanksgiving day! The new and improved Bijou..Doubling our space has been great, everything we expected and more!! Thanks Ted and thanks Edie for offering your space, we do miss you!! I am thankful today for the smooth river of life...it may be smooth, because I don't every push the river..(Life will happen how it is supposed to happen, wheter you push it or not)..or that I am a very lucky person and have great Karma...whatever it is..I'm thankful! I'm thankful for my family, they make owning a business so easy, especially Thomas, doing all that I can't do, without blinking an eye, just because he loves us so much....running errands on their day off....being understanding when I have to work extra, putting up with all this computer time...sweeping when they come in and doing projects for the business I give them with a smile. I'm so grateful for them! I'm thankful to the clients of Bijou, thankful not only that we have so many, but that they are all such wonderful people and that they appreciate what we have to offer so much. I am thankful that when one of them has a suggestion to make our salon better, they tell us without worrying it might offend us, this helps us so much, we love to hear what you LOVE about Bijou, but also what can improve us, we are striving for perfection, but are realistic and know there is always room for improvement! I'm thankful for every new person that walks through our door and then returns again and again. We are blessed, as Michele said the other day! 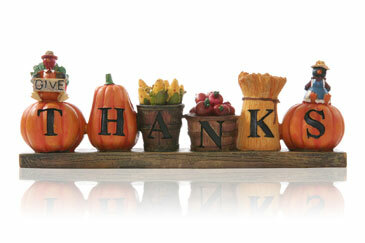 Thank you and with your families or your friends, have a wonderful Turkey day! Gobble Gobble!